It’s on the front of every Cheerios box and every canister of oatmeal: heart-healthy whole grains! The rationale for this is that whole grains lower cholesterol and blood pressure, which then improves heart health and prevents cardiovascular disease. 1. Replacing Cholesterol-Rich Foods with Cholesterol-Free Foods Isn’t All it’s Cracked Up to Be. One big reason why people claim that whole grains lower cholesterol is that substituting grains for meat removes cholesterol from your diet. Whole grain advocates don’t usually want you to eat oatmeal on top of your bacon; they want you to eat oatmeal instead of bacon. The theory is that replacing animal foods, which contain cholesterol, with plant foods (which don’t) will help people get their cholesterol levels down. It’s true that grains don’t contain any cholesterol. But it’s just not very relevant to blood cholesterol levels or heart disease because for most (not all! But most) people, dietary cholesterol doesn’t really affect blood cholesterol. So it doesn’t make sense that grains improve blood cholesterol levels by removing cholesterol from your diet: that’s not typically how it works. 2. Most Data in Favor of Whole Grains is Based on Inconclusive Studies. So if dietary cholesterol doesn’t actually raise blood cholesterol and whole grains don’t actually reduce it, why is everyone so sure that these things are true? Because they’re looking at epidemiological research, which is research identifying associations between two things. In other words, researchers do a study and ask people how much red meat they eat and how much whole-wheat bread they eat, and then see who gets more heart disease: the red meat-eaters or the whole-wheat bread eaters. As this recent study admits, most of the pro-whole-grain evidence so far comes from this type of observational study. In epidemiological studies, people who more whole grains tend to be healthier because the people who eat more whole grains also tend to do other beneficial things. They’re the same people who exercise regularly and don’t smoke – they’re basically the people who do what they’ve been told about diet and exercise. 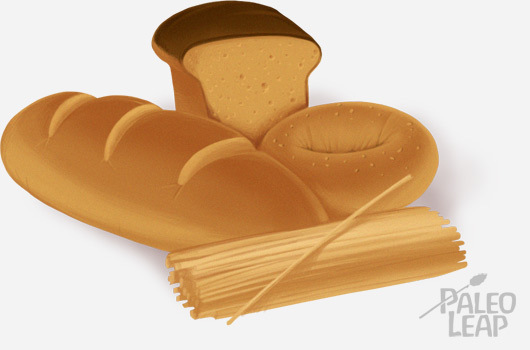 But whole grains per se don’t cause the benefit; it’s all the other things they’re doing. 3. Most Intervention Studies Compare Whole Grains to Refined Grains, not Whole Grains to a Grain-Free Diet. So maybe you ditch the epidemiological research and head straight for the randomized controlled clinical trials. These are studies where researchers give some people whole grains and other people something else and randomly assign the groups, so there’s no bias where the healthier people are more likely to choose the whole grains. This is more laborious and expensive for the researchers, but it does let the study isolate the effect of whole grains. This review and meta-analysis did exactly that. The authors looked at lots of different randomized controlled trials of whole grains and blood lipids (cholesterol and triglycerides). But wait just a hot second! Almost all of their trials compared whole grains to refined grains. In other words, the researchers just assumed that everyone is going to base their diet on some kind of grains. 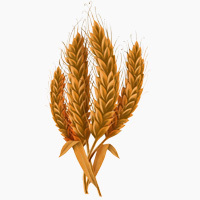 And they found that whole grains are a better choice than refined grains – no surprise. Even the Paleo folks can admit this one. Compared to Wonderbread, then sure, whole-wheat bread is less bad. But you could also argue that compared to Wonderbread, Coke is less bad: it’s the same blood sugar spike, but at least Coke doesn’t have proteins that damage your gut lining. Just being less bad than Wonderbread doesn’t mean that Coke is good for you! These randomized comparisons of whole grains and refined grains just tell us that whole grains are less bad if you’re going to eat grains. They don’t tell us anything about a Paleo diet compared to a whole-grain-rich diet. 4. Fiber Isn’t a Game-Changer. That’s true. Soluble fiber does actually lower cholesterol. Fiber affects the absorption and metabolism of bile acids in the gut and increases the number of bile acids that are eliminated from your body. Bile acids are necessary for digesting fat, so if you start excreting more of them, your liver has to ramp up production. The liver makes bile acids by breaking down cholesterol, so the more bile acid it makes, the more cholesterol it breaks down, and the lower your blood cholesterol gets. OK, but this is the point where vegetables would like a word. Grains aren’t the only fiber-containing foods in the world! There’s no reason why you couldn’t get soluble fiber from carrots or apples or nuts – without all the other disadvantages of grains. Just to make that point crystal clear, here’s a comparison of the results from two recent meta-analyses (remember, those are studies that sum up all the other studies on a given topic). The one on grains and cholesterol is this one, from above, and the one on trains and fiber is this one. In the fiber study, there was no significant difference between fiber supplements and fiber-rich foods, and no notable effect depending on the type of fiber. Obviously, this is a little imprecise since there were differences in the amount of whole grains and the amount of fiber in all the studies, but the point is that whole grains don’t significantly outperform fiber. The effect size in both cases is pretty small, but there’s no specifically magical thing about whole grains that makes whole grains better than a diet rich in fiber from fruits and vegetables. Whole grains lower cholesterol relative to refined grains because they’re full of soluble fiber, which you could also get from 100% grain-free sources. They’re not some kind of magical ticket out of heart disease, and in fact if they mess up your blood sugar, they might be doing more harm than good. Studies do show benefits for people who eat whole grains AND exercise AND eat vegetables AND avoid sugary sodas – those people have lower rates of heart disease, but that don’t prove anything about whole grains by themselves. There’s no need to eat whole grains (or any other kind of grains) to keep your heart healthy.